This is another look at one of the SB Scotia accessories that are currently available through SB Models. Stewart of SB models has been developing the range for about 4 years now, time permitting. The item comes packed in a double zip plastic bag attached to a backing card showing the product and manufacturers details. The crates are cast as a whole stack, showing 9 different boxes stacked in a random way. 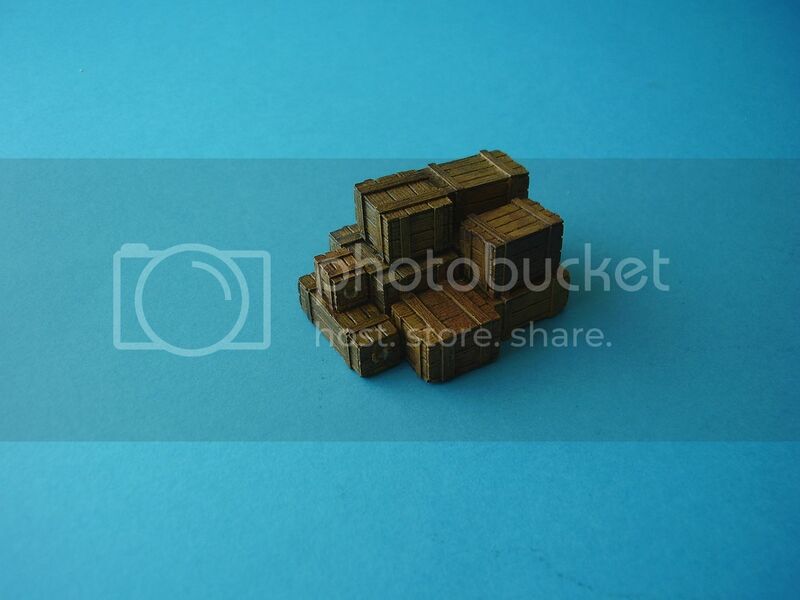 The detail on the boxes is very good, and all have a wood grain effect. Cast in a light grey resin the detail is sharp and the crates are well cast, with no damage or air bubbles that I could see. 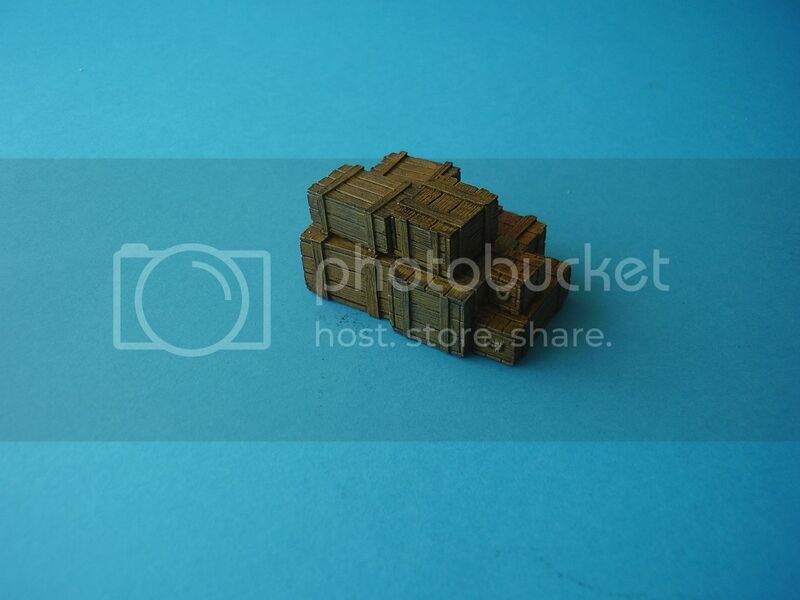 This is a very handy bulk item for ground dioramas, trucks, or boats. There will be a little clean up needed on the base as there is a thin plug, but if you were ground mounting this item it could probably be ignored. These ‘crates’ are very reasonably priced coming in at £3.00, which is super value compared to many smaller resin items I have seen. A nice size and variety of crates are provided. 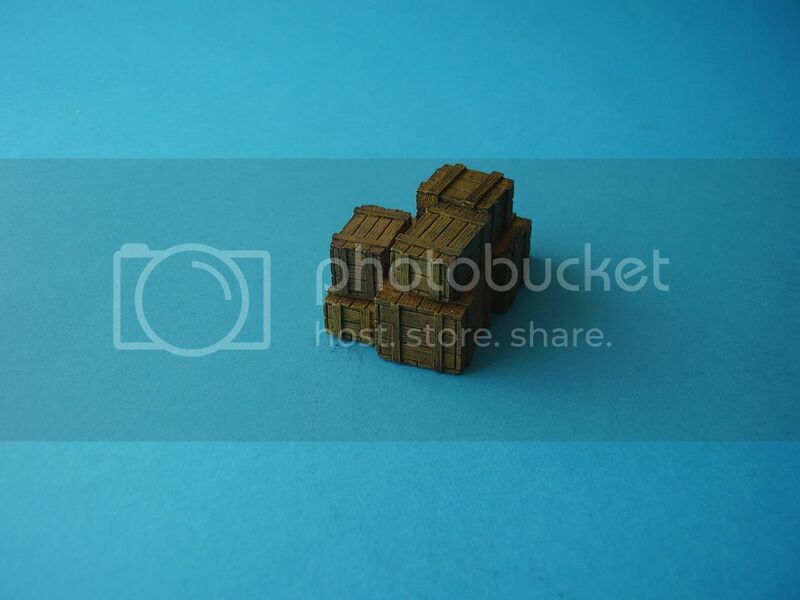 There are also a set of ‘Crates 3’ which are equally useable and in a similar style, and a set of Large Crates that are individual items, so fill your boots if you need some well cast and detailed crates at a very reasonable price. Highs: Well cast with good detail. Extremely well priced. Thanks for the review, Alan. I was just checking out some of SB Scotia's other bases and did not know the quality of their resin castings.